All homes currently listed for sale in the zip code 90012 as of 04/18/2019 are shown below. You can change the search criteria at any time by pressing the 'Change Search' button below. "READY FOR YOUR IMMAGINATION! Here is an amazing opportunity to own the former site of General Lee's Banquet Room in the heart of Chinatown. This is an architectural gem with many unique design elements including high ceilings, stained glass sculpture and an open floor plan. The property has severe deferred maintenance and needs to be completely renovated. All information provided is from third party sources. Buyer to verify all information provided regarding the property." "NATURAL BRIGHT & LIGHT OPEN LOFT WITH 12 FT CEILINGS & ORIGINAL EXPOSED BRICK ACCENTS. Live in the completely renovated historic Pan American Lofts built in 1897. Gorgeous New York Style CORNER loft w/ open space floor plan. Modern meets historic charm in this stunning space. Fully equipped with stainless steel appliances incl. washer/dryer. Balcony / fire escape. Nearly 1000 sq ft with oversized bathroom, floor to ceiling windows with lovely window seats. Convenient 30 second walk to Grand Central Market, a food-centric & culturally diverse marketplace. 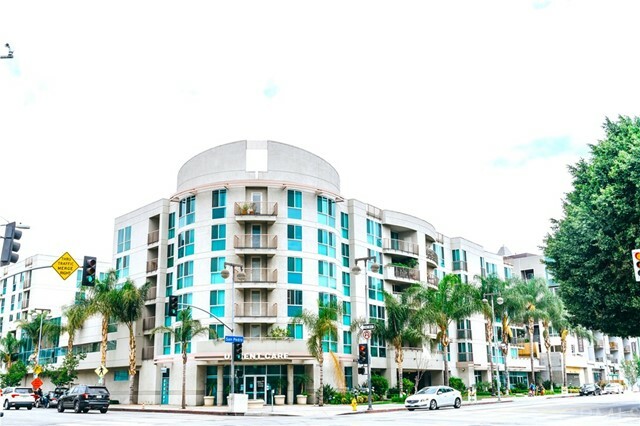 Check out this unique opportunity to live in this boutique style, 40-unit building! RARE DEEDED SUBTERRANEAN PARKING SPACE. In the Old Bank District the Pan Am is conveniently located near all downtown's best attractions, including MOCA, Chinatown, Little Tokyo, the Arts District, the Fashion District, Disney Hall, Dorothy Chandler Pavilion, Central Library, Union Station AND all the best in dining and shopping DTLA has to offer." "Experience the timeless elegance of The Promenade, Bunker Hill's premiere address located in the heart of Los Angeles' cultural district. Enjoy top floor spectacular views of world famous Disney Concert Hall, Dorothy Chandler Concert Hall and the dramatic downtown skyline from the atrium-style living room and balcony. The Promenade is a world-class complex with excellent management and services including 24-hour security and concierge; elegant lobby, pool, spa, high-tech gym and guest parking. Recent upgrades include: enclosing balcony in den to increase interior living space; replaced greenhouse windows with sound and heat insulating glass; remodeled kitchen with marble countertops, subzero refrigerator and motorized Roman shades on atrium windows. Note: Property records show 1 bedroom; recent upgrades enclosing the balcony in den, thereby increasing square footage render the unit a two bedroom. Buyer to verify." "Hailed as the 2nd oldest building in Downtown LA and a member of the National Registry of Historic Places, the Pan American is located on the corner of 3rd and Broadway across the street from the Bradbury Building and Grand Central Market. It's dramatic hallways and stairs have been immortalized in Hitchcock films, Blade Runner, Se7en and Fight Club. Unit 208 is a unique loft in the building with windows on both North and South sides, a 20' terrace, 12' ceilings, exposed steel beams and exposed brick as well as separation between bedroom and living area. Unit also features chef's island, laundry in unit, one car deeded parking space is steps from the Red Line, Disney Hall and Broad Museum. The Pan American has only 40 units and qualifies for tax reduction for historical fa ade."